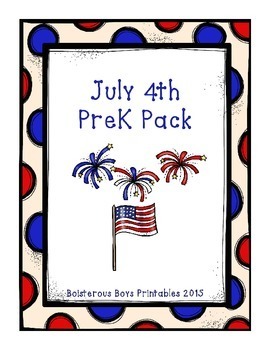 This July 4th printable pack includes many early learning activities that are perfect for toddlers, preschoolers, and kindergartners. This listing is for a digital file. The file is in .pdf format, so you must have a program that can open this file. Adobe Acrobat Reader is a free program that can open the file. 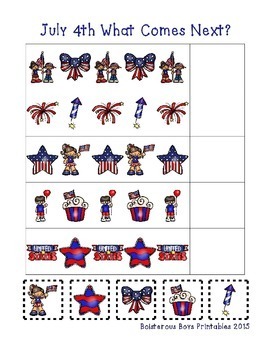 You must have a printer to print the activity pages, color printing is preferable. 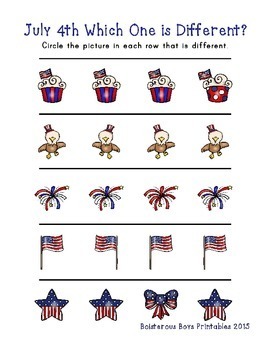 Scissors, crayons, and writing implements are also needed. 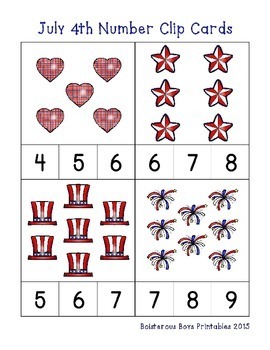 Other materials you may wish to have for this pack include card stock, place markers, clothes pins, glue or paste, and bingo daubers, but these are not absolutely necessary to complete the pack.